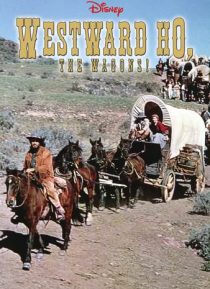 IHG® Rewards Club - Películas - Westward Ho: The Wagons! The pioneering trail to Oregon was littered with constant danger. Yet, the hope of the "promised land" keeps American families westward bound despite overwhelming odds. A calm, clear-thinking pioneer (Fess Parker) attempts to lead a wagon train through territory occupied by Pawnees and Sioux. Along the way, the hardy settlers face horse thieves, kidnappers, and unpredictable Indian attacks in thei… r push to establish a new life in the rugged West.